DICE: Releasing New Battlefield Every Year Would "Kill Franchise"
Battlefield's biggest rival in the fight for the greatest first-person shooter is undoubtedly Call of Duty. 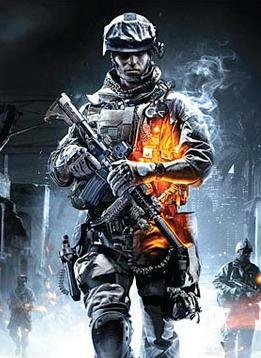 Ask any FPS fan which game they're most looking forward to this year and I'm sure they'll tell you either Modern Warfare 3 or Battlefield 3. So in order to keep up with its rival, wouldn't it make sense for DICE to make Battlefield releases annually — just like Call of Duty? "The business goals for us are not to release a game every year. "If we were to release another big Battlefield title next year, that would mean that we'd have less than a year to build it, and that would mean that we'd have to have another studio building it for us, which would mean it wouldn't have that DICE seal of approval, which would mean they'd just have to release a copy of the game we just released. "EA would never force us to release a game every year. I think that would dilute the vision of the franchise, and you will eventually kill the franchise by doing that." Bach was quizzed about the possibility of rotating development of the series with another developer alongside DICE, and while he said it was possible "in theory," he sarcastically added, "that would be the day." As a massive Call of Duty fan, I can understand the reasoning here. As much as I love a new title every year, having the games developed by both Infinity Ward and Treyarch can sometimes mean that you enjoy one developer's games more than the other. For example, I can't get enough of Call of Duty 4 or Modern Warfare 2, but it's very rare these days for me to take the Black Ops disc from its case. I know it's Call of Duty, but in some way it isn't the same Call of Duty I've grown to love. "What we noticed with Battlefield: Bad Company 2 was that if you spend enough time on making an expansion pack like Vietnam there's enough content to make it feel new and fresh. It's not only a map pack, it's weapons and vehicles, and it makes the game feel fresh again. "I think that's a more healthy way of expanding on the game experience. It's not a new game but a twist on your old game, and I think that's a healthier way of looking at a franchise rather than just trying to cram every single last penny out of it." Would you like to see a brand new Battlefield every year, rotated between two developers, or do you agree this can sometimes taint a title's consistency?